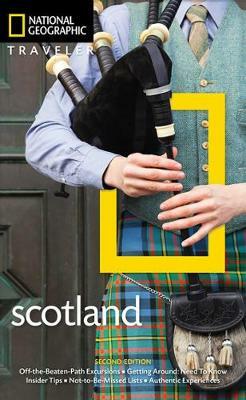 The latest edition of National Geographic's popular guidebook covers all the main cities, towns, and regions of Scotland, helping travelers negotiate one of Europe's more remote yet enduringly popular destinations. The book providesdetailed city walks in Edinburgh and Glasgow and drives into the highlands, complete with maps and reservation information. Also included are features on local subjects such as the whiskey-making traditions of Scotland, as well as sidebars on a range of great activities to help you enjoy the rugged appeal of this truly beautiful land.